This week, we are joining together to fight flu. It may be early in the flu season, which typically peaks around February in the U.S., but many states are already reporting increased levels of influenza-like illness (ILI). Considering that the 2017-2018 season saw high levels of outpatient and emergency room visits for ILI, high ILI-related hospitalization rates and elevated, widespread influenza activity, it’s never too early to educate your patients about the dangers of influenza and the benefits of vaccination. This National Influenza Vaccination Week (December 2–8, 2018), AANP invites you to raise awareness! The flu vaccine is recommended for all individuals aged six months or older, who do not have contraindications, as the best way to protect against influenza and potentially serious complications. See below for details on influenza vaccinations across the lifespan and for patients with chronic health conditions. A CDC study published in 2017 found that, between 2010 and 2014, flu vaccination reduced the risk of flu-associated death by 51 percent among children with underlying high-risk medical conditions and by 65 percent among healthy children. The CDC recommends that children aged six months through 35 months receive one of three IIV4 products at the appropriate volume for each dose needed. Children aged six months through eight years who have not previously received greater than or equal to two doses of trivalent or quadrivalent influenza vaccine before July 1, 2018, may require two doses for the 2018–19 season. The interval between the two doses should be at least four weeks. Children who have previously received greater than or equal to two total doses of trivalent or quadrivalent influenza vaccine at least four weeks apart before July 1, 2018, require only one dose for 2018–19. The two doses of influenza vaccine do not have to have been administered in the same season or consecutive seasons. 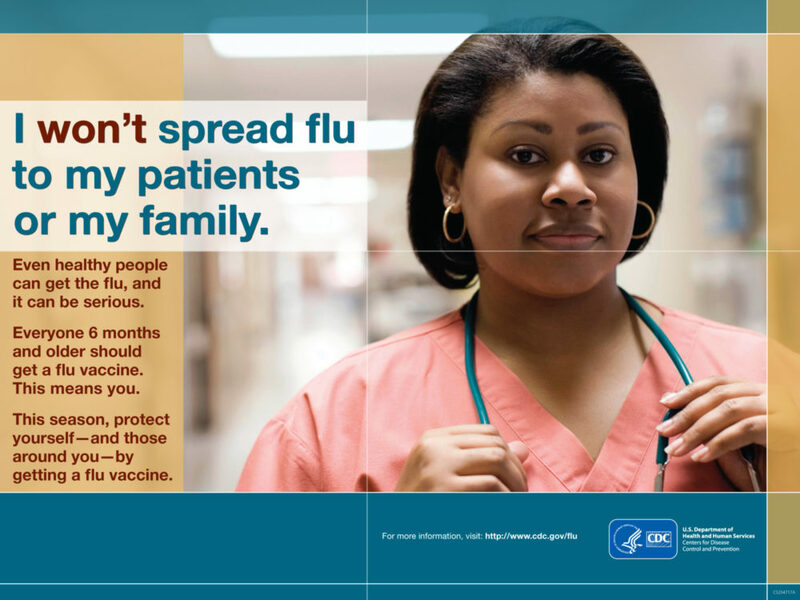 Learn more about preventing childhood influenza with AANP member and family nurse practitioner Lacey Eden, a CDC Flu Fighter Partner! Pregnant women have been observed to be at higher risk for severe illness and complications from influenza, particularly during the second and third trimesters. The Advisory Committee on Immunization Practices (ACIP) and the American College of Obstetricians and Gynecologists (ACOG) recommend that all women who are currently pregnant or who might become pregnant during flu season receive the influenza vaccine. Any licensed, recommended and age-appropriate inactivated influenza vaccine or recombinant influenza vaccine may be used, but live attenuated influenza vaccines should not be used during pregnancy. The influenza vaccine can be administered at any time during pregnancy. While everyone is at risk for serious flu-related health complications, certain populations have an even higher risk, including people aged 65 years and older. For this population, any age-appropriate inactivated influenza vaccine (standard-dose or high-dose, trivalent or quadrivalent and unadjuvanted or adjuvanted) or recombinant influenza vaccine are acceptable options. For people at high risk, getting the flu can lead to serious health problems, including pneumonia, bacterial infections and hospitalization. However, the influenza vaccine has been associated with reduced hospitalizations in diabetic patients, fewer hospitalizations for influenza and pneumonia and a lower risk of death in elderly patients with chronic lung disease and a lower risk of composite cardiovascular events, particularly among patients with coronary disease. Explore CE courses and clinical tools concerning infectious disease prevention and immunization, available completely free to AANP members!